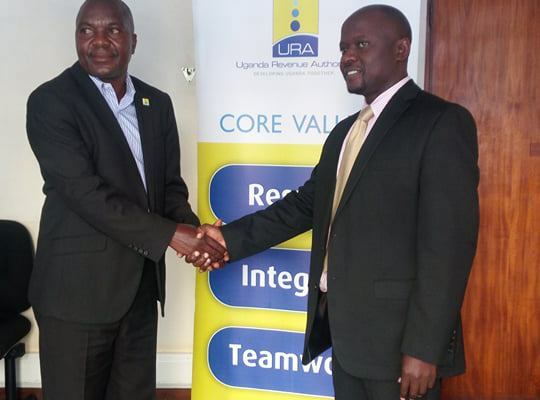 After URA’s loss 7-2 loss to Kampala Capital City Authority (KCCA), URA’s manager Paul Nkata resigned as team head coach in an attempt to escape embarrassment and wanted to give other people an opportunity to take over the tax collectors. After the Tuesday incident, URA FC have announced the appointment of veteran Sam Ssimbwa also husband to singer Sophie Nantogo as the next caretaker manager for the team. 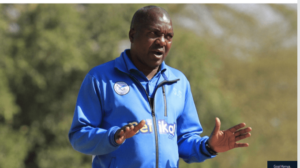 In the statement released on Thursday afternoon by Mr. Ian Rumanyika the club’s director in charge of communication in Uganda news shows that Sam Ssimbwa will take over the eight placed tax collectors until the end of the season in Uganda Premier League. 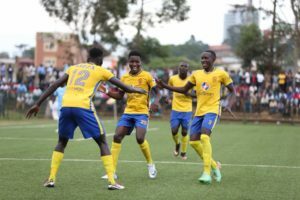 “Over the years, URA FC has endeavored to build a winning team. Just like our tagline, this is the time when the team needs all the support. We pledge all that is required to keep the dream alive. We now welcome Ssimbwa and believe he has the expertise necessary to lead a team of champions” said Mr Rumanyika. URA is facing a tough time in the Uganda Premier league with 32 points which puts the tax collectors 7 positions behind the leading team. Veteran Sam Ssimbwa has in the past managed KCCA FC, SOANA FC and Sofapaka in Kenya a neighbor to Uganda. We wish him all well at his new job. We shall keep you posted here at Flash Uganda entertainment.